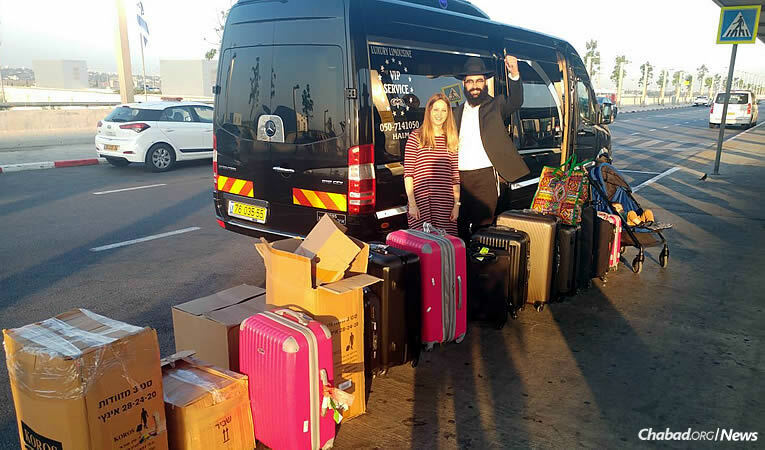 Rabbi Moishe and Yocheved Raskin shown leaving Israel to establish Chabad-Lubavitch of Uganda, the 100th country in the world with a permanent Chabad presence. 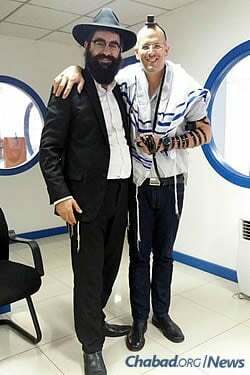 They are among a number of couples establishing new Chabad centers around the world, including those in the Bahamas, Montenegro and Curaçao. Other countries and territories where Chabad is establishing new permanent presences this year include Montenegro, Nassau in the Bahamas, and the tiny Caribbean island of Curaçao. These countries followed the recent opening of Chabad Houses in Laos and the Pacific island of New Caledonia. That brings the total of emissary couples around the world to 4,700. 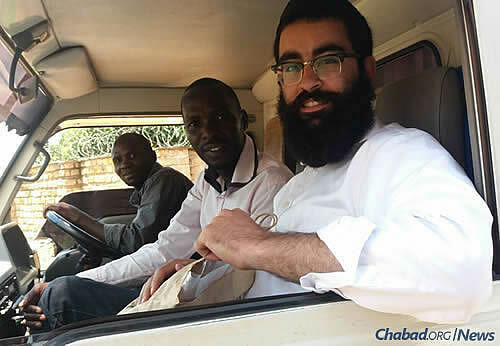 Chabad has had contact with the small but dynamic Jewish community in Uganda since at least 1999, when Rabbi Shlomo Bentolila—who with his wife, Miriam, heads Chabad of Central Africa in Kinshasa, Congo—first sent “Roving Rabbis” there for the summer and to help mark Jewish holidays throughout the year. Wrapping tefillin with residents, many of them from Israel on business. The International Conference of Chabad-Lubavitch Emissaries brings together 5,600 rabbis, community leaders and their guests from around the world, from as far off as Stalin’s Jewish Autonomous Region of Birobidzhan, in Russia’s Far East, to Staten Island and now, Uganda. 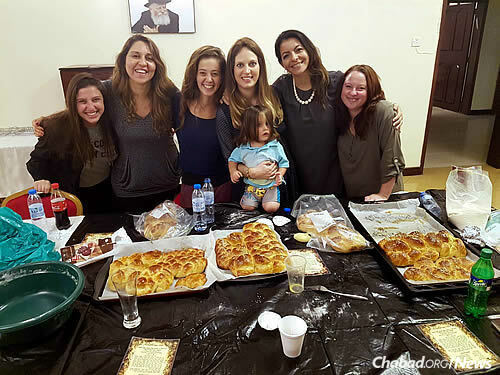 Yocheved Raskin, fourth from left, is organizing challah-making workshops and other programs for women. This past Sukkot my husband and I met the new Rabbi in Puerto Vallarta, Mexico. It was truly an honor and pleasure. He and his wife prepared a beautiful succah and meal after services and Yizkor. We are very thankful to Hashem and Chabad for making sure Jews all over the world are spiritually taken care of.